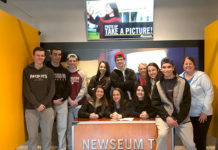 Region – The following local residents were named to the dean&apos;s list at Ithaca College for the fall 2011 semester. 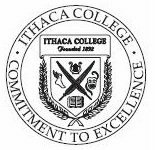 Shelby Abrams, daughter of David and Risa Abrams of Southborough, a freshman exploratory major, was named to the dean&apos;s list at Ithaca College&apos;s School of Humanities and Sciences. Shaylyn Gibson, daughter of Nicholas and Fiona Gibson of Northborough, a junior performance/music education major, was named to the Dean&apos;s List at Ithaca College&apos;s School of Music. Carina Chittim, daughter of Lealand and Annamaria Chittim of Shrewsbury, a sophomore chemistry major, was named to the dean&apos;s list at Ithaca College&apos;s School of Humanities and Sciences. Corinne White, daughter of Randall and Lynda White of Westborough, a freshman exploratory major, was named to the dean&apos;s list at Ithaca College&apos;s School of Humanities and Sciences. Located in New York&apos;s Finger Lakes region, Ithaca College is home to 6,100 undergraduate and 400 graduate students and offers over 100 degree programs in its schools of Business, Communications, Humanities and Sciences, Health Science and Human Performance, and Music.